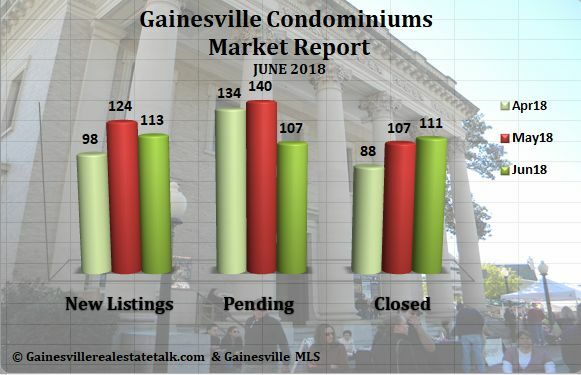 This Gainesville FL condominium market report is compiled from our local MLS and Florida Realtors Research Department. I fully admit that we did not post the May reports. This post is for the June 2018 market report and shows our actual MLS data. The new listings coming on the market are down this month with 113 units. The closed sales for June are reported at 107 units. Pending sales jumped up again to 111 units. We are in our strong summer condo market! This chart below shows the stats for April, May and June 2018. The last three months of data are displayed below of new active listings, new pending sales, and closed sales. This data is compiled from the Gainesville Multiple Listing Service & Florida Realtors® research and statistical reports. Each month we compile these posts, we plan to publish these monthly reports after the 23rd of each month. Bookmark the GainesvilleRealEstateTalk blog! This next table compares June 2018 to June 2017. Condominium sales compared to last month are stable. 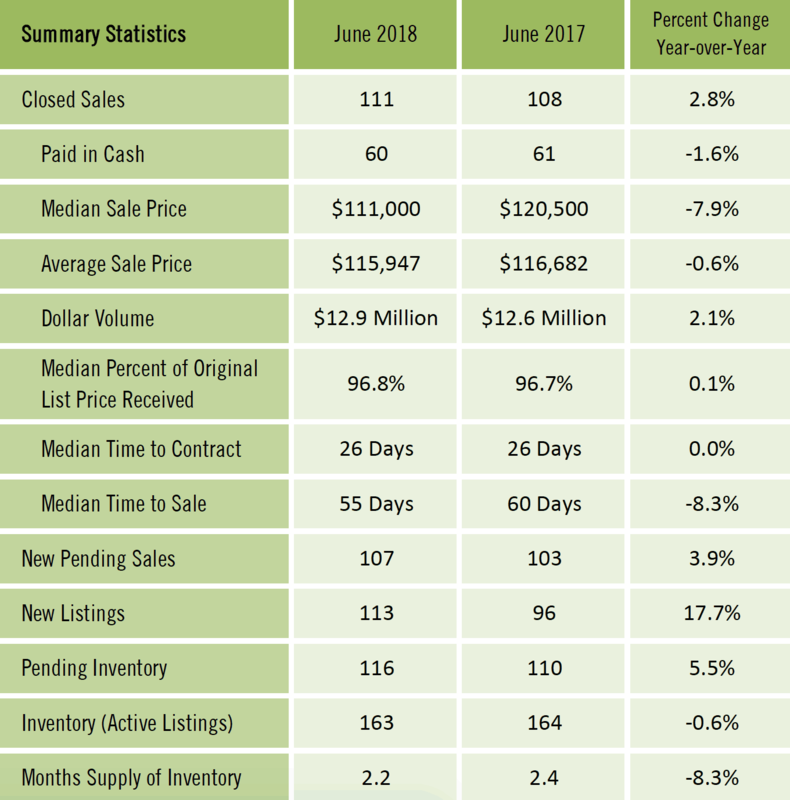 There were 111 closed sales in June 2018 and 60 of those sales were cash transactions. It shows that more buyers are getting loans for condos in our area. The Average sales are off slightly from last year. Our median sales prices are off slightly. The medium time to contract shows 26 days. The full detailed report is available here in our library. The Gainesville condominium real estate market continues to be good for buyers. The biggest obstacle for condominium sales is a buyer’s ability to obtain a mortgage. Each condominium complex will be analyzed by the mortgage lender & underwriters for loan approval. Call me to find out which condo complexes will qualify for FHA Financing. Finding any lender on a Florida condo has been tough, so be prepared when shopping for a lender on your condo purchase. Ask your Realtor if a unit you are considering is a true condo or a PUD (Planned Unit Development). Lenders and their underwriters are scrutinizing the condo association’s budget and ownership ratios to determine if they will offer financing.Your lender will want to know if the condominium you are interested in is a “true condo” or a PUD (Planned Unit Development). Condominiums could be a good real estate investment for the Gainesville market. Search for Gainesville Condos for Sale! Cash Buyers and Investors have excellent opportunities in the Gainesville market. Are you ready to start looking for a Gainesville Condo? Give us a Call!